Developer Nerial, publisher Devolver Digital and cable network HBO have unveiled Reigns: Game of Thrones. Players can rule from the Iron Throne as Cersei Lannister, Jon Snow, Daenerys Targaryen, Tyrion Lannister, Sansta Stark and more. The aim of the game is to outwit political rivals, and maintain balance and the favour of the people. 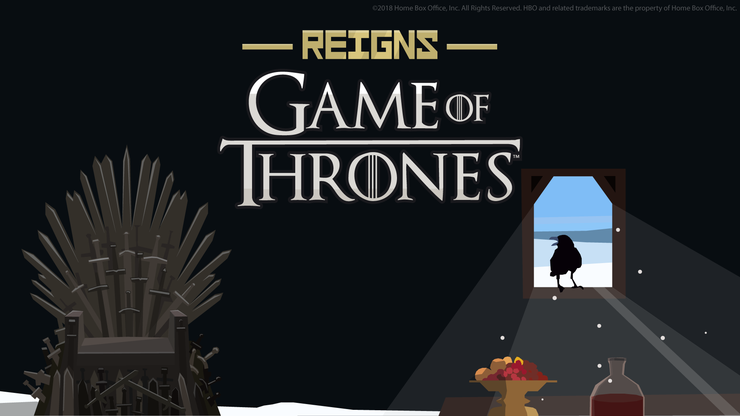 Reigns: Game of Thrones will launch on the App Store, Google Play, and Steam for $3.99 in October and is available for pre-order now. For more information, visit reignsgame.com.